Nonetheless markets in Europe have started the day on the front foot, taking their cues from a largely positive Asia session, as investors gear up for the release of the latest Fed minutes later today, with one eye still very much on developments in Washington DC as Chinese officials continue negotiations with their US counterparts. On the companies front we’ve got the latest annual numbers from Lloyds and all in all they paint a fairly positive picture. Lloyds is probably the UK bank most exposed to Brexit risks and its share price performance reflects that, down over 15% from a year ago, despite posting record profits of £3.1bn for the half year last June. 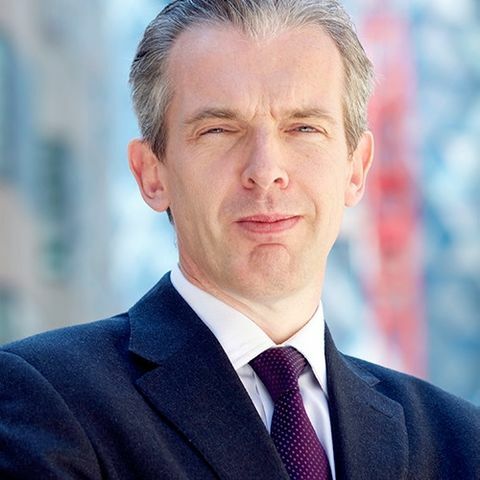 In Q3 the bank added another £1.8bn to its pre-tax profits number with revenues for the quarter of £4.69bn, while at the same time boosting its resilience to any economic shocks as a result of any disruptions caused by Brexit. With the deadline for exiting the EU looming investors have continued to remain cautious though we have seen a decent rebound since the lows back in December In their Q4 numbers revenues slipped back a touch to £4.3bn, with operating costs increasing to £2.1bn, and a further £397m of impairment and PPI charges, dragging quarterly profits down to £736m. This increase in impairment charges in Q4 helped pushed total charges for the year up by 18% to £937m. Despite a disappointing end to the quarter statutory profits for the year still rose 24% to £4.4bn, while the bank was also able to improve its net interest margin from 2.86% to 2.93%, despite the low rate environment. The bank also announced that the total dividend would rise 5% while also announcing a share buyback of up to £1.75bn. These seem a decent set of numbers, however the slight rise in impairment provisions in Q4 is a worry given the slowdown seen in UK economy the last six months, which may suggest management concern that some consumers may be at the limit of their budgets. 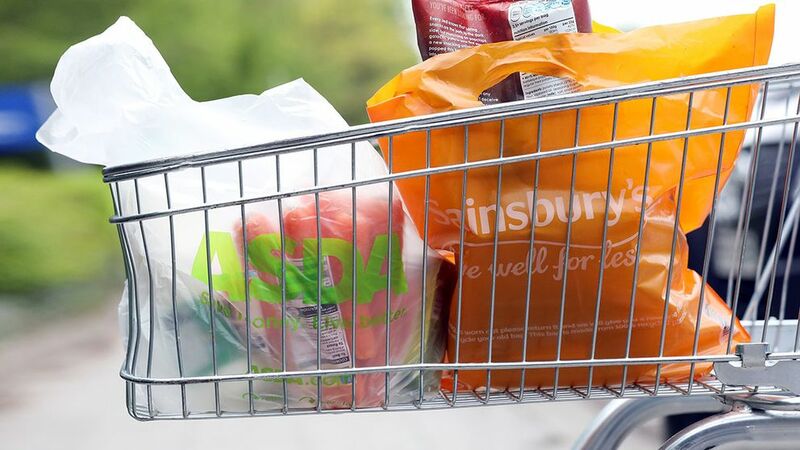 This morning the Competition and Markets Authority (CMA) announced its latest provisional findings on the proposed Sainsbury’s, Asda merger by stating that may lead to higher prices and reduce quality in in store and on-line, as well as higher prices at the supermarket’s petrol stations in up to 132 locations. Not surprisingly Sainsbury have pushed back quite strongly, with the share price dropping sharply in early trade, by stating that the ruling “fundamentally misunderstand how people shop”, and with respect to fuel prices they probably have a point, as generally supermarket fuel prices tend to be lower than the mean average. These findings by the CMA are still provisional but they do suggest that the regulator is leaning towards blocking the merger or at least enforcing a ruling of some disposals in key areas. The latest numbers from mining giant Glencore have shown a 41% decline in net income to $3.4bn, largely down to some big impairments of $1.4bn in respect of its African operations in Congo and Zambia. Today’s Fed minutes are also likely to offer a key insight into US policymakers thinking about the path for US rates this year. The Fed has undergone a significant volte face in the last couple of months. From what was a fairly hawkish December meeting, the recent decision in January was a significant about turn, and while it had been widely signalled by various policymakers in the preceding days, the contrast in tone was still quite surprising. Not only did US policymakers signal a lot more caution they went as far as to signal that they might well be done in terms of the recent rate hiking cycle, as well as being more flexible when it comes to balance sheet reduction. It would seem that somewhat belatedly that the US central bank has realised that it is also the world’s central bank, and at a time when economic growth globally is weakening sharply, they could well be part of the reason why. This week’s minutes are likely to give an insight into how worried some Fed officials are with respect to the global economy, as well as possible negative effects of the US government shutdown. The US dollar has slipped sharply in the last 24 hours along with US yields in expectation of a dovish outcome, while the reality is that US policymakers have merely shifted to neutral as opposed to full scale dovish. On the US earnings front we’ll get an insight into how much capacity US consumers have had for eating out as we gear up for Q4 earnings from one of my favourite US eateries, the Cheesecake Factory. It’s not been a great last six months for the Cheesecake Factory, its shares dropped sharply in August after the company announced that higher labour costs in the form of higher wages and overtime payments in Q2 saw the company miss revenue and profit expectations. Down over 20% from its summer peaks some of these higher costs were as a result of one-off legal expenses, and as such net income should show an improvement in Q4, after the numbers in Q3 showed a stabilisation. Expectations are for $0.62c a share, unchanged from the performance in Q3. US markets look set to open fairly flat ahead of this evenings Fed minutes with little in the way of economic data to digest ahead of the release.